The Financial Conduct Authority (FCA) has said that it will start to "gather evidence" on the current payment protection insurance (PPI) complaints process. The FCA wants to ensure that the process is still meeting its objectives and not being abused. As well as changes to rules, the FCA is considering implementing a consumer communication campaign, and has also hinted at the future implementation of time limits on claims. As it stands, the FCA will present its findings at some point this summer, once it is satisfied with the amount of research it has carried out. Payment protection insurance is designed to cover loan and credit card repayments. It is sold by banks and other credit providers, but as an add-on to loans – rather than a necessity – because many consumers do not need it. However, in 2008 it was revealed than millions of credit consumers had been surreptitiously sold PPI policies when taking out loans. This was done because the PPI would often generate more profit for the creditor than the interest on the loan itself. As a result, many consumers who were mis-sold PPI claimed against this. The FCA has also extensively fined many companies for mis-selling PPI, but now looks to re-evaluate the claims process. Ensuring that your organisation's credit control department is staffed with responsible and experienced individuals is crucial. The FCA is quite rightly clamping down on poor practice within the financial sector, and it is imperative that your company complies with its regulations. At Portfolio Credit Control, our expert consultants can vastly improve the recruitment process. We know what to look for in credit controllers and analysts, and can help you narrow down your list of applicants to the most suitable candidates. 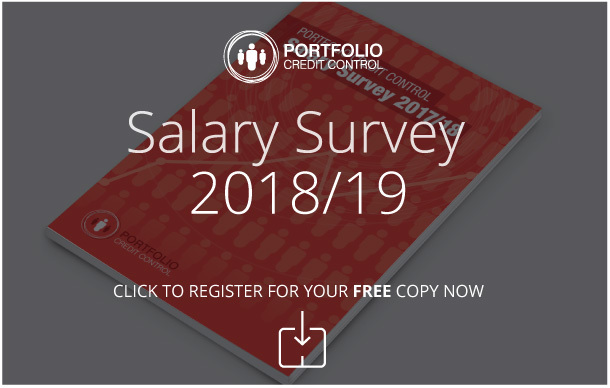 For more information, call Portfolio today on 020 7650 3199, or email us at recruitment@portfoliocreditcontrol.com.